Fairline Boats is celebrating a major milestone with the launch of its 100th Squadron 78. The original Squadron 78 was unveiled in 2003 at an event near the Tower of London. Since then, Fairline said, it has become one of the builder’s most successful and iconic luxury motoryachts. 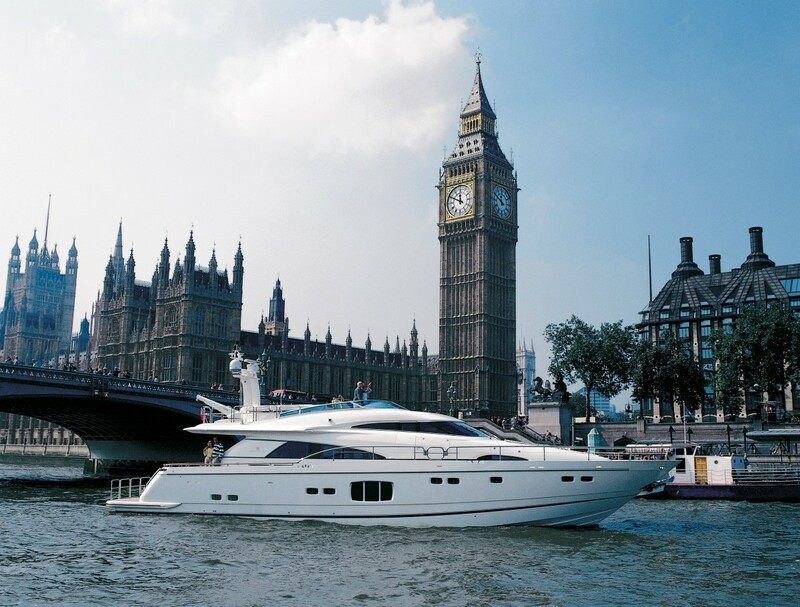 Fairline&apos;s Squadron 78 passing through London. The 100th build of the Squadron 78 follows the recent launch of its most customized model ever, a Squadron 78 Custom called Match 2. The yacht was the owner’s fifth Fairline and his second Squadron 78.